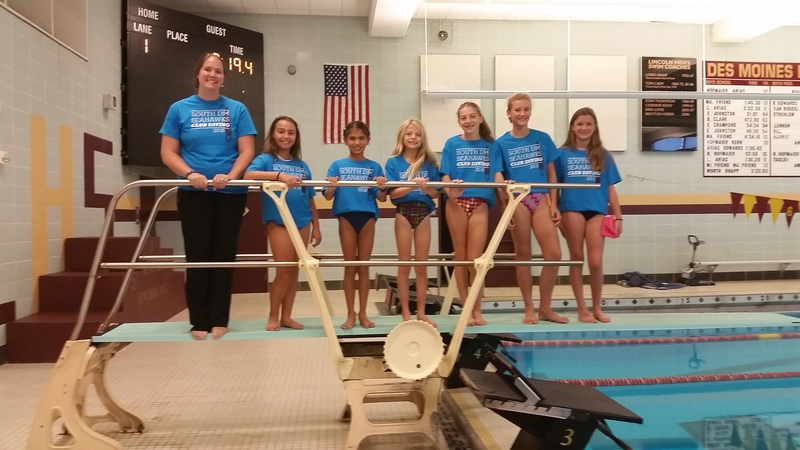 August Dive Clinics Are A Success! 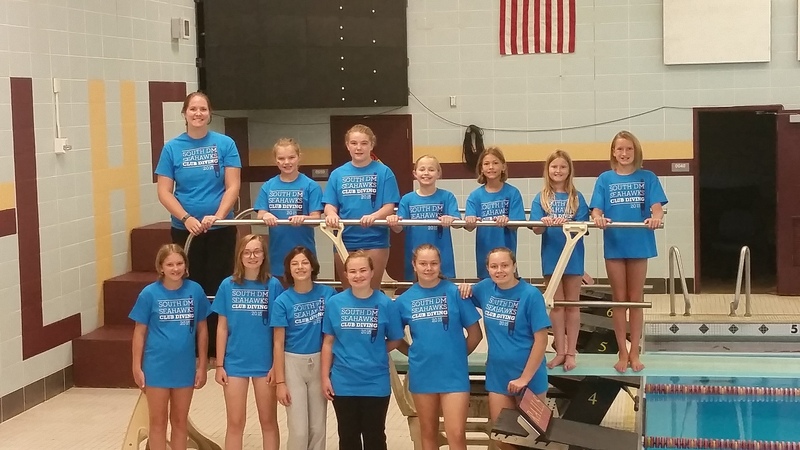 20 club divers took part in the SDMS Dive Clinics this summer. From August 10-21, the girls learned basic dive skills, terminology and drills. Several even learned and practiced proper forward dives, somersaults, inward dives and/or back dives. Each practice involved some dryland training which worked on strength, flexibility and balance. There was also out-of-water training which allowed the girls to practice the proper forward approaches, back take-offs and other diving skills before executing them off the board. Lastly, every practice included some board time to allow the girls learn and practice their new-found skills in real-time. Maddie Dowling learned a forward dive, forward somersault and inward dive, all in two short weeks! Krysta Miller continued to improve her skills from previous clinics, particularly focusing on being more patient off the board. Grace Twelmeyer mastered the ability to dive down deep which greatly improved her entries on her forward dives. Eve Mittra learned her forward and back approach and also how to do a proper back drive! Kendall Berg improved her executions of a forward dive, forward somersault, back dive and back somersault. The next dive clinics will be held during late spring and/or summer 2016. Communication will shared via email in advance. Note: All 8th graders interested in high school diving for the 2016 season, please contact Coach T. Weber or Coach B. Weber in early spring 2016. The high school diving schedule may vary some next year depending on the number of divers. Traditionally practice is held during 4th or 8th block to allow athletes in other Fall activities to participate in diving. Your communication with us will help with that planning effort.